Located off Highway 61 in Summerville in the heart of the South Carolina Lowcountry, Summers Corner is founded on the time-honored principle of connecting with nature and each other. 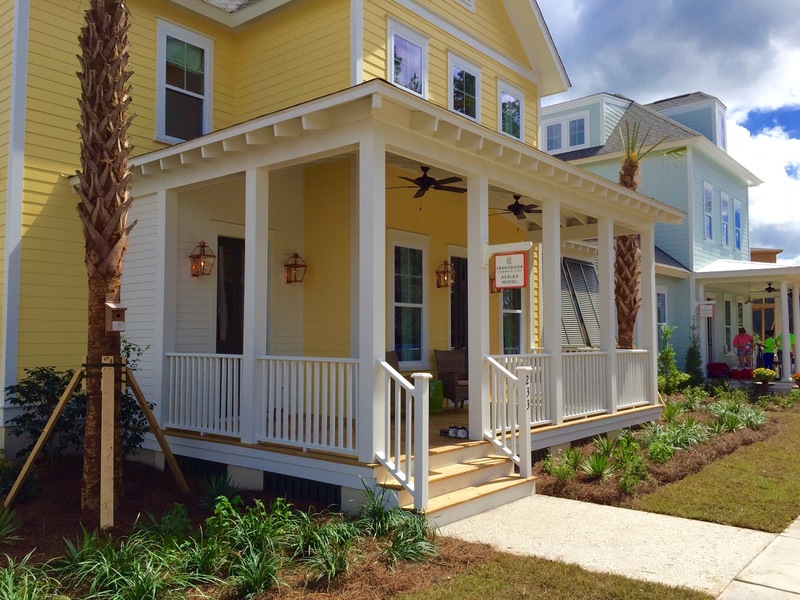 After a wildly successful grand opening last week, which saw more than 1,000 attendees and more than 400 groups registered, FrontDoor Communities is pleased to announce that its Azalea model home and the community’s Corner House will be open seven days a week for touring. 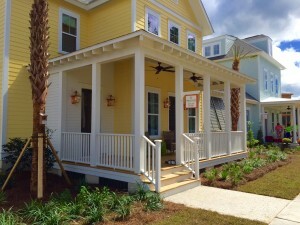 The model home and Corner Hours are open from 10 a.m. until 6 p.m. Monday through Saturday and 1 to 6 p.m. on Sunday. FrontDoor Communities’ homes are designed to “live inside out,” connecting to the surrounding landscape of gardens, parks, woods and wetlands. Inspired by a variety of traditional regional architectural styles, Summers Corner fosters a sense of uniqueness in each home, on each street. The homes offer gifts to the street in forms of front gardens and side street gardens. With six magnificent floor plans beginning in the low $300,000s, there is sure to be something that every family will enjoy. At Summers Corner, residents will find a variety of common areas to enjoy with the family. 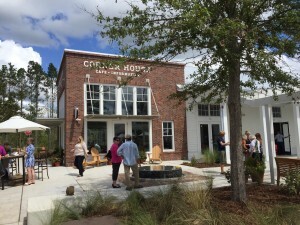 Corner House is where they’ll be able to find a great cup of coffee while prospective buyers can find information about new homes and the developments that are underway. 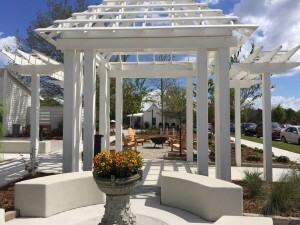 The Outdoor Market Pavilion is a shady plaza are perfect for farmers markets, live music, farm-to-table dinners, community art projects and many other events. Homestead offers office space for the Home Owners Association office and the Clemson Extension Master Gardener Program. Summers Corner will also be home to future commercial and retail shops as well. If you’re interested in a small town, family-friendly lifestyle, then Summers Corner is the place for you. For more information regarding FrontDoor Communities’ homes at Summers Corner, contact Emily Shapiro at 843-352-4992 or Emily.shapiro@carolinaone.com. Also, visit www.FDCCharleston.com/SummersCorner. This entry was posted in Events, New Home News, South Carolina and tagged amenities, Carolina new homes, Carolina real estate, FrontDoor Communities, South Carolina real estate on September 28, 2015 by FrontDoor Communities.